Deep Turtle is a Finnish punk rock band that deliver a bit more madness than is normal for straight forward punk rock. The band started in 1990 and then burned out in 1996 and then got back together in 2001 and made this limited edition 7 track CD in December 2002. The band describe the music as protest music and even sing in Spanish. Many of the song titles are in Spanish, which is strange for a Finnish band. Pesadilla is quite a bizarre song with ringing phone sounds, aggressive sounds, crazy noises and a Spanish melody. Perdido begins as a sort of Ska thing and then rocks out. Ventila is based on a fast bass line like Nomeansno stuff. A clear influence on this band. Martillos Malditos is short and to the point. The more I hear this the more I hear the Nomeansno influence and like it. Revolver (not the Beatles) ends the CD and is quite a fun Spanish ska song. Intense stuff for 22 minutes and not a song the same. Cool. The Finns rock! Nomeansno fans will like this especially if you understand Spanish! 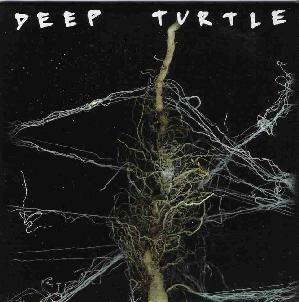 For more information you can visit the Deep Turtle web site at: http://www.deepturtle.net. Contact via snail mail c/o PD; Välskärink 29; 20740 Turku; Finland.